Why choice Mcoplus? 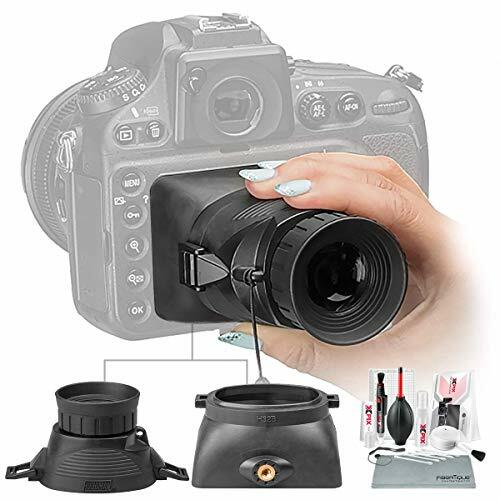 Mcoplus is a well know trademark who specializing in offering digital camera & photo accessories to worldwide .We try our best to make sure customers have a pleasure shopping experience with us .we supply good quality products and very pretty price. 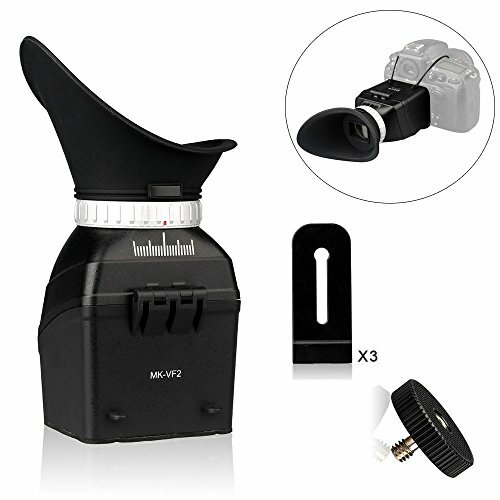 Mcoplus not only focus on providing high quality photography accessories but also excellent customer after-service, Appreciate advance for your support and positive affirmation Product Description Specifications: Lens: 3 piece/group Magnification: 3X Diopter: ≤ 3 Transmittance: >90% Lens Diameter: 40mm Support LCD: Universal design fits for LCD screen size 3''~3.2'' Compatible with 3:2 or 4:3 ratio LCD screen Operation Instruction: 1.Universal Design The eyeshade can be exchanged right and left for left and right eye, fits for digital camera with 3''-3.2'' display. 2.Shooting Outdoor The eyeshade can be upturned and used as the lens hood for the screen so that you can more clearly view the pictures on the display LCD in outdoor under bright sunlight. 3.Diopter Adjustment When you can not view the picture clearly can through adjust the diopter adjustable ring to meet your needs. 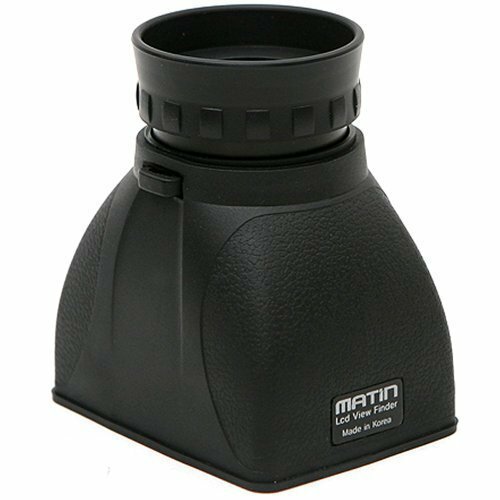 MATIN LCD VIEWFINDER - UP TO 3.2" LCD SCREEN, SHOOTING VIDEO & LIVE VIEW Optimum for Professional use. 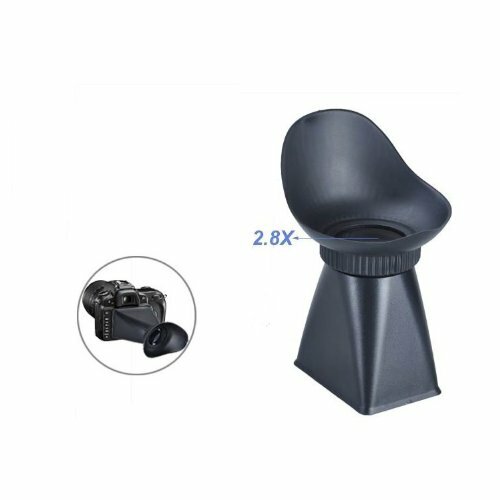 Specifications: Size: W76 x D56 x H89mm Fits up to 3.2 inch LCD screens 2X Magnification -5 to +3 Diopter Adjustment Construction: 2 Groups/2 Elements Coating: AR coating (550nm) Including neck strap Package Includes: Viewfinder, Strap, Pouch Quantity: 1 Country of Manufacture: Korea, South Compatible with: Fits up to 3.2 inch LCD screens Features: - It reduces the eye fatigue, as new optical design offer the clear and optimum image with 2times magnification without distortion nor blur around the border of screen. - Neck strap style allows you to carry and easy to use anytime you want. - Included elastic strap allows you to fix it to the screen of camera. It is convenient to shtto video and live view. 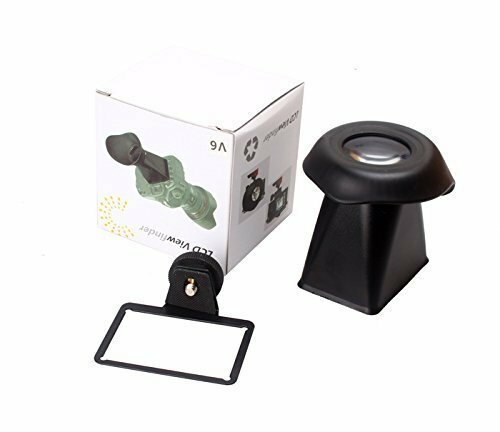 - Made of synthetic material from rubber and plastic, it withstands the outer shock and prevents camera from being stained or scratched. 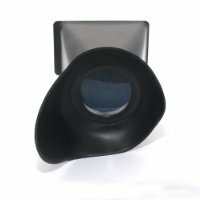 - Soft rubber eyecup offers eye comfort. Rotate the focusing ring located on the eyepiece until you see a sharp image. 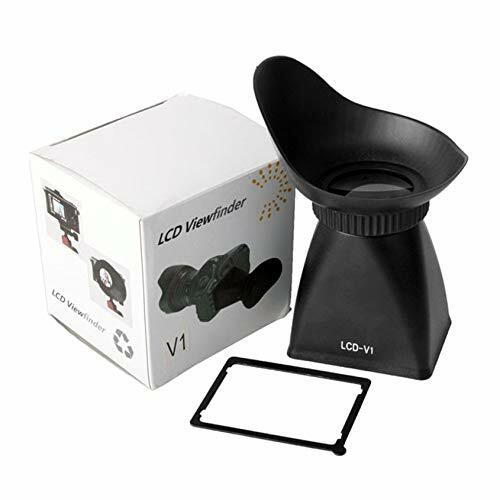 Features: 1.Spontaneously transform your video enabled DSLR into a handheld video camera. 2.Allow the use of LCD in bright outdoor daylight. 3.Magnification: 2.8x. 4. Optical lens. 5. Easy to install and dust proof. 6. 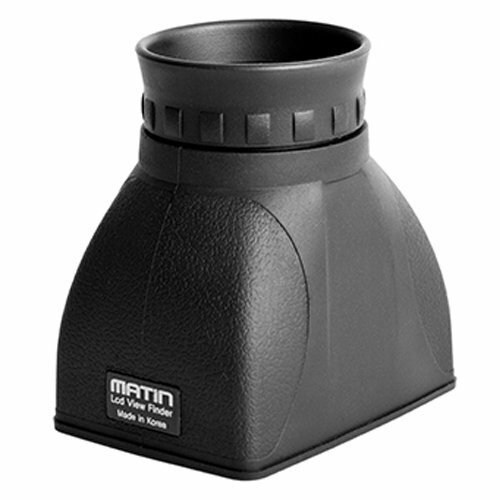 180¡ã viewing angle, suitable for right or left eye users. 7. Magnetic bracket allows easy installation and removal without any damage . Suitable For: Canon 550D. Goliton is a registered trademark protected by the US Trademark Law. Goliton products are sold by authorized sellers only. 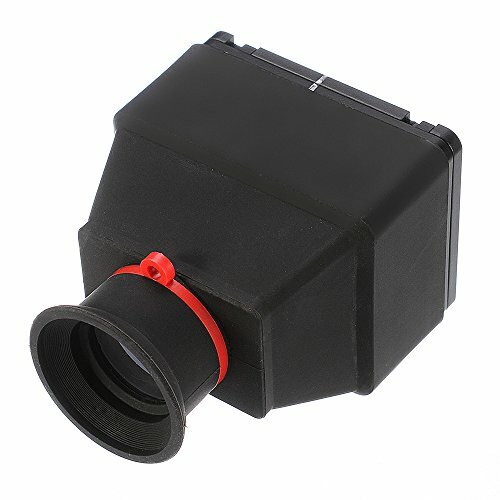 Compare prices on Lcd Viewfinder Extender at LiveSaler.com – use promo codes and coupons for best offers and deals. We work hard to get you amazing deals and collect all avail hot offers online and represent it in one place for the customers. Now our visitors can leverage benefits of big brands and heavy discounts available for that day and for famous brands. We try to makes comparison shopping easy with Product Reviews, Merchant Ratings, Deal Alerts & Coupons. Find Deals, Compare Prices, Read Reviews & Save Money.